A lot is said about the advantages of using natural treatments for hair loss. Those include a wide spectrum of operation, minimal side effects, low costs, etc. Such treatments as aromatherapy, herbal remedies, massage or acupuncture can be very effective for those who need to stop hair loss and stimulate hair regrowth. Along with essential oils, there is a great deal of herbs, fruit and vegetables can be used for keeping hair loss under control. Onion and garlic are two of those. • several teaspoons of water. This blend must be massaged deeply into your scalp and kept for 20-25 minutes, after that the hair must be washed with usual shampoo. If used once a week, this mixture can considerably improve the quality of your hair in 1-2 months. 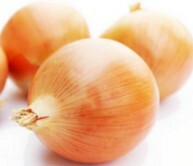 Onion is another natural treatment that is rich with Vitamin C and B6, as well as important minerals and sulfur. It has exceptional antiseptic, stimulating and antibacterial properties that can be used with therapeutic purposes. In particular, sulfur plays a key role in restoring hair follicles and stimulating natural hair restoration. As an effective hair loss treatment, onion can be used in the following mixture: 1 teaspoon of fresh onion juice mixed with several teaspoons of apple juice. Rub this blend in your scalp, keep for 25-30 minutes and then wash away with the shampoo. This procedure is quite harmless even for sensitive skin and can be used every day in order to stimulate hair growth. Male pattern baldness is the leading cause of thinning strands for men. However, other factors can be involved in some cases. This includes diet, vitamin deficiencies, stress, illness, and certain medications. I’m about to start this for my receding hairline. Can we use home made powdered garlic instead of fresh crushed garlic cloves? 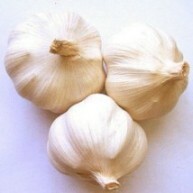 I have been working on developing a natural product using garlic fo rhair growth and so far i have been successful. the product is water soluble and natural.